Golden Cocker Retriever - Is This The Ideal Family Pet? New dog crossbreeds are popping up left, right, and center, with the already substantial list of dog breed potential combinations numbering in the thousands. The American Canine Hybrid Club already has hundreds more entries for breeds than the American Kennel Club does. This year the new pup on the block seems to be the Golden Cocker Retriever. Extravagant claims about this dogs’ appearance are everywhere, and some have got people really excited. With their parents being two of the most popular dog breeds in the world, the instant fame of these mixes was predictable. So is the Golden Cocker Retriever a ‘forever puppy’? Will it be healthy? Will it make a good pet? 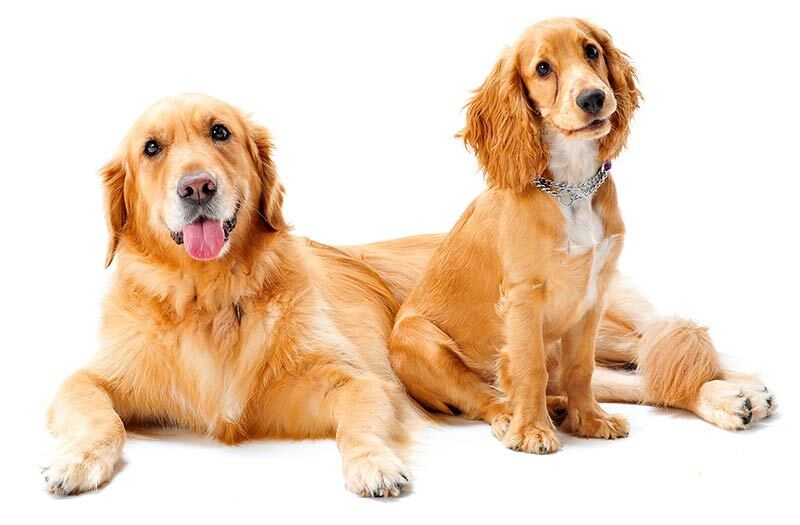 We’ll answer these questions and many more in this article about the golden retriever and cocker spaniel mix: the Golden Cocker Retrievers. What is a Golden Cocker Retriever? The Golden Cocker Retriever is a fairly recent mix of the Golden Retriever and an American Cocker Spaniel. Both of these parent breeds belong to the sporting dog group, and are friendly, active dogs that are a pleasure to train. 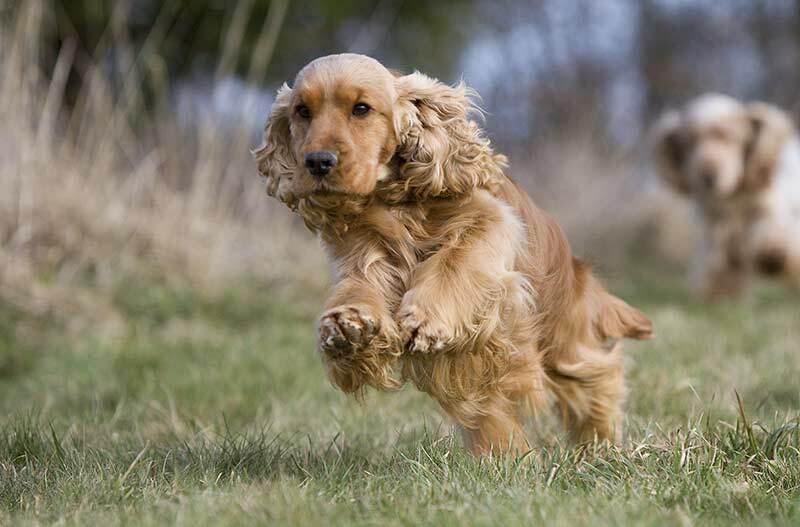 There are several different types of Cocker Spaniel, and two distinct pedigree breeds. In the USA the Cocker has largely lost it’s hunting dog roots and is bred for pet and show. 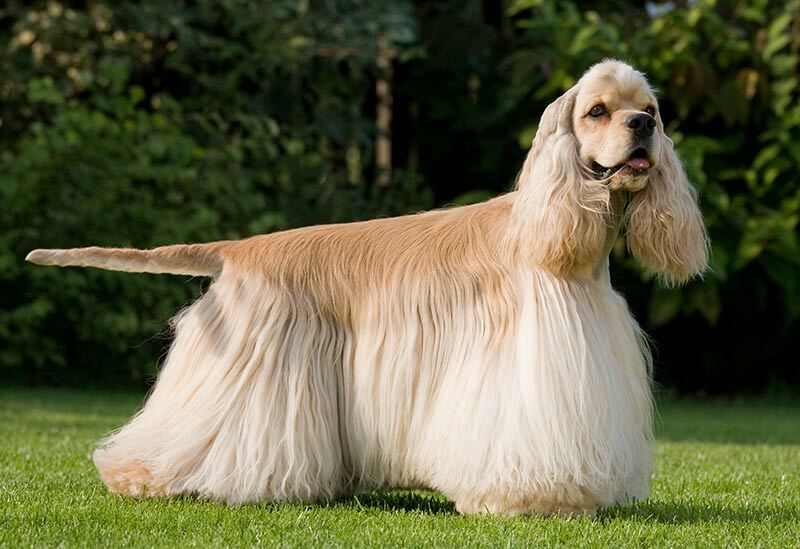 In the UK we refer to this breed as the American Cocker. The dog that is called the English Cocker Spaniel in the USA, is simply the Cocker Spaniel in the UK, where cockers have become divided into two distinct lines, one bred for work, and the other bred for pet and show. Golden Retrievers have also been split into separate lines with some bred as hunting companions and the majority bred as pets or show dogs. Hunting lines tend to have shorter, darker coats. But first let’s take a look at what Golden Cocker Retrievers look like. Some news outlets have been describing the Golden Cocker Retriever as a ‘forever puppy’, claiming it will constantly maintain the appearance of a golden retriever puppy. While this may be true for some Golden Cocker Retriever dogs, cross breeding inevitably means that the resulting puppies may vary quite significantly, even within each litter. Cocker Spaniels come in a huge variety of different colors, and it is the ‘golden’ variety that is used in this new breed mix. Golden Cocker Retrievers will inevitably vary in size and general appearance. This is the trade off that comes with mixing breeds. I, for one, think it would be cool not to know what my puppy would look like fully grown! Others may prefer a more predictable outcome. So, if you are worried about the exact appearance of your pet, or are thinking about a Golden Cocker Retriever because the ‘forever puppy’ look appeals, this may not be the pup for you. At this early stage, you’ll need to accept that you can’t control what this dog will look like. And perhaps wanting a dog to look like a puppy forever is kind of missing the point of owning one? Both Cockers and Goldens have plenty of hair. So what you can be sure of, is that this is a dog that is going to shed, and to need some regular attention to grooming. Let’s look at that next. Both of the parent breeds require some level of grooming. They have chest hair and trousers that are prone to matting if left unattended. It’s likely that your Golden Cocker Retriever will be no different. Cocker Spaniels generally require a little more maintenance, especially when it comes to their ears. So how much grooming your new pup needs will be down how closely his coat resembles the cocker parent. Long fluffy coats can easily become tangled and matted, so it’s best to brush out ears, trousers, and chest on a daily basis, with a thorough body brushing once a week or more often when your dog is shedding heavily. Brushing fluffy dogs like this can kick up a cloud of dog hair that’ll get all over your house. If you brush your dog outside, birds will find clubs of hair and use them for their nests, so you get to feel good for not only helping your dog, but the wider eco-system! All dogs are pretty adorable when they’re puppies, but what do Golden Cocker Retrievers look like when they’re full grown? As we’ve mentioned, by assuming your golden cocker retriever will be a ‘forever puppy’ you could be setting yourself up for disappointment. In addition to this, many of the images claiming to be adult ‘forever puppy’ golden cocker retrievers are just actual puppies. Your dog’s coat will not be very short and may be quite profuse and he will have floppy ears. These could be fairly short like his Golden Retriever parent or very long like his Cocker Parent! The appeal here is that you’ll get a sort of mystery puppy that’ll grow into a dog that’s truly unique. All that you can be sure of, is that he’ll stay roughly the same color that he was when you picked him to be your next best friend. So now we’ve looked at appearance, what will your Golden Cocker Retriever’s personality be like? Will he be a friendly, well behaved dog? Golden Cocker Retrievers haven’t really been around long enough to be certain about their temperament, but we can get some clues from their parent breeds. Fortunately, Golden Retrievers and Cocker Spaniels are among the friendliest dogs; this is one of the major reasons of their long standing popularity. They are also intelligent and keen to please. Temperament is partly inherited, but don’t forget that a puppy’s personality is also formed by early experiences. You can do a huge amount of good by socializing puppies from a young age. Even though the temperament of your golden cocker retriever may differ slightly from his parent breeds, you can never be 100% certain how any puppy will turn out. If you choose a Golden Cocker Retriever with one or both parents from working/hunting lines, be prepared for a high energy dog. Remember that even Golden retrievers and Cocker Spaniels can both have temperaments that are way off the norm. All you can really do is make sure your pup has parents with wonderful temperaments (make sure you meet them) and the proper guidance and training to grow into a well tempered dog. Okay, let’s move on now to health. Just how healthy are Golden Cocker Retrievers? There are some health advantages to being a cross bred dog. You’ll find lots of information on the underlying science behind this issue in our article Pedigree Vs Mutt – Are Mixed Breeds Healthier. But in general, mixed breed dogs or mongrels have a longer lifespan than most purebred dogs. Although this mix should be healthier than either of their parents, they still may inherit some of the disorders that have occurred through years of inbreeding. Golden retrievers for example, are prone to cancer. According to a study published in 2004 in the UK close to 40% of Goldens will die from the disease. And the AKC put the rates even higher in the USA. Many Cocker spaniels are prone to a range of health conditions, one of the most common being loss of vision due to progressive retinal atrophy. 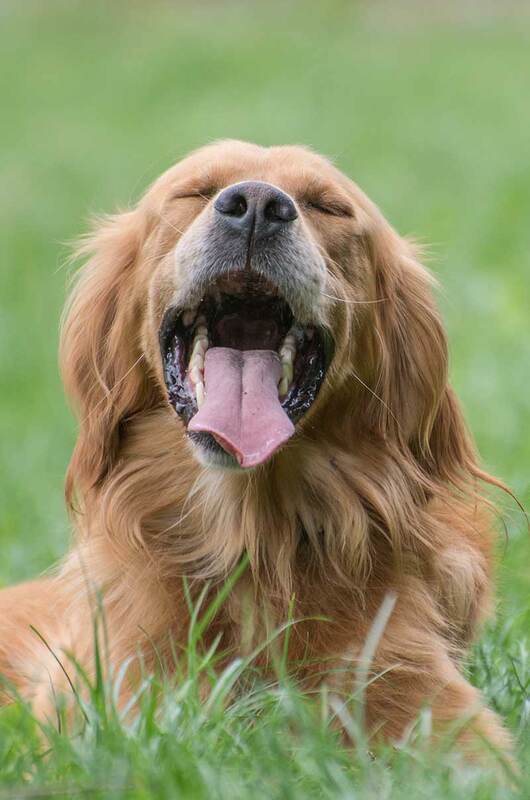 Golden Retrievers suffer from PRA too so it is important that your puppy’s parents have certificates to show that they have been tested for this disease and are free from it. It can be hard to find breeders of what many would refer to as a ‘designer dog’ that have carried out the relevant health tests. So if you want to get a Golden Cocker Retriever, then who should you go to? As this cross is a fairly new area of interest, it may be quite difficult to find a breeder. As the popularity of this cross grows, this should become less of an issue. There are now quite a high number of Labradoodle breeders for example, that health test their breeding stock. But with newer cross breeds that isn’t yet the case, and many are produced in puppy mills. 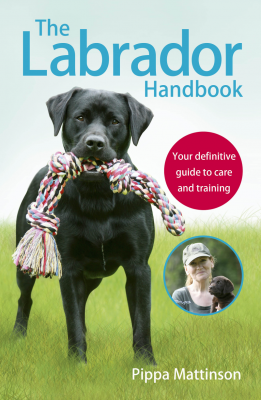 There are however a number of ways to distinguish someone breeding responsibly, from an unscrupulous breeder, and you’ll find them in our puppy search guide. Always ask to see at least the mother, and if possible both parents. You might get some clues as to their health and you’ll certainly be able to gauge their temperaments. Steer clear of pups with aggressive parents, as this could be a result of a faulty upbringing, but could also be due to something in their nature. You’ll get a dog that’s much less predictable in it’s appearance, but much healthier than its’ parents. As with any puppy, you’ll want to talk to you vet about the best way to care for your golden cocker retriever puppy. Diet is hugely important, and you’ll need to put in an effort to socialize him as early as possible. 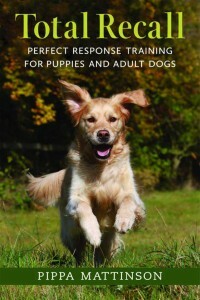 A large aspect of a dogs temperament is down to nurture as well as nature. The best way to stop your puppy being nervous or aggressive is to introduce it to different people in different places as early in his life as possible. All puppies should have regular check ups with a veterinarian. Insuring your puppy will enable you to afford any treatment he or she may need. And happily, most insurance companies have lower rates for cross breed dogs. The vet will be able to identify health issues early on, and give your pup the best chance of a happy and healthy life. These puppies should be fairly easily trainable and enjoy exercise. 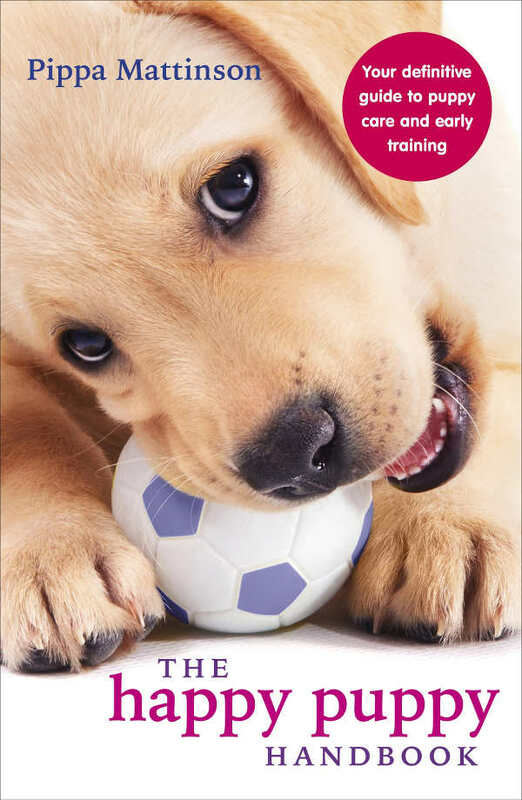 Starting training early on can be important in both their obedience and their temperament. Training dogs to perform basic tasks as a response to verbal cues has been proven to have a positive effect in their general disposition. As with any dog that goes through a bit of a ‘fad’, abandonment may be an issue, especially due to the ‘forever puppy’ idea. Unscrupulous owners might get rid of these dogs when they grow into full-grown dogs. Given this risk, it’s possible that some Golden Cocker Retrievers will end up in rescue centers. Adopting rescue dogs can be a great thing to do, and I know many people with lovely rescue dogs that have become part of their family. That being said, these dogs can sometimes be traumatized and quite difficult to handle due to neglect. Make sure that you go through a responsible rescue center that has assessed the dog thoroughly and will provide back up support if and when you need it. Rescuing a dog is an awesome and noble thing to do. It can be really hard work, but it’s almost always worth it. There will probably be a rescue shelter nearby to you, so you could drop in and see if any of the dogs could be your new furry friend. Are Golden Cocker Retrievers good pets? There’s no reason why golden cocker retrievers wouldn’t make as good a pet as any dog. And indeed, the mix may well make a better pet and family dog than many other types of dog. 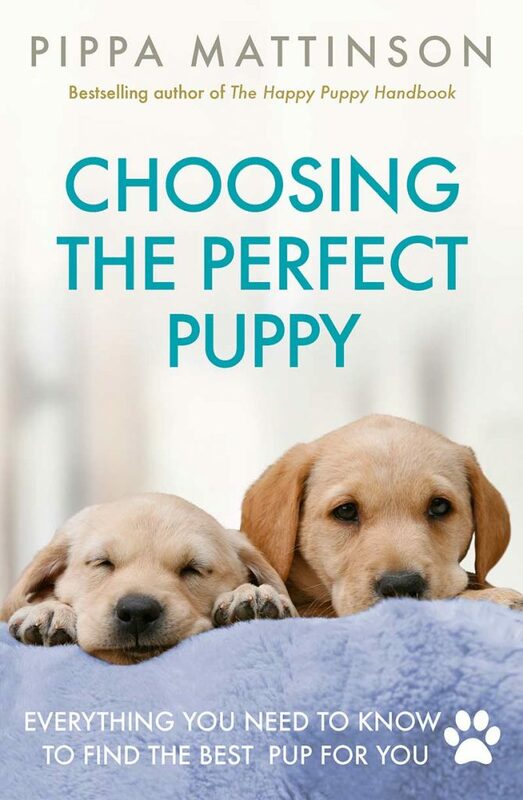 If you’re after a ‘forever puppy’, then you may be disappointed. But if all you want is a friendly pet, this could be a great choice. 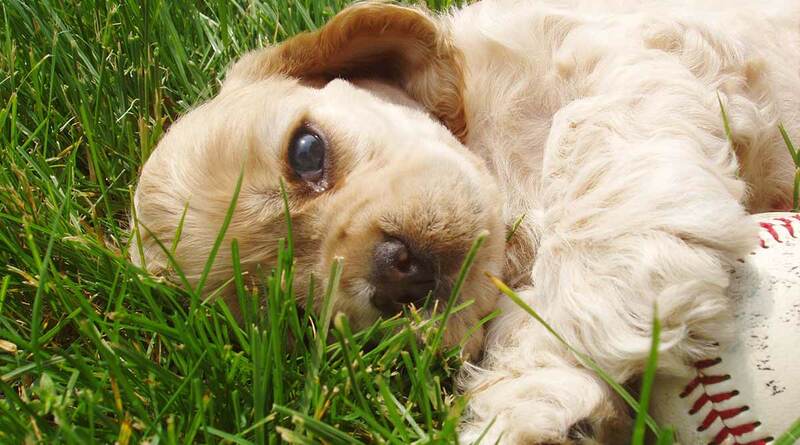 Overall, you could be getting a pup as loving as any spaniel or retriever, with less of the health risks. Not everyone is in favor of cross breeding. You’ll find many pedigree breed enthusiasts who believe that mixing two pedigree breeds together is a heinous crime. But more experts agree that breeding dogs within closed registers (pure breeding) is increasingly risky and harmful. And the argument that you will be helping dogs in general by popularizing an out-crossing is gaining support. The increased popularity of crossbreeds will actively encourage outbreeding. Popular demand for mixes may pull breeders away from encouraging aggressive line-breeding, and if this happens dogs will be generally healthier. It’s not just altruistic — vets bills can be huge, and a dog with less of a predisposition to disease is less of a risk to your wallet. A cocker golden retriever mix might just save you some money. Don’t forget, check out your breeder carefully, avoid puppy mills, and take your time finding the right puppy for you and your family. @Dylan the Dog is .my rescue Golden Cocker Retriever. He is one of the most wonderful dogs I’ve ever had. We have been together for 5 years and he is somewhere between 7 and 9 but does look like a Golden puppy. Smart, loyal and loving. Where did you find your Dylan? Did you get which crossbreed it is?